The best way to travel is to travel for free. The type of traveling where you are not afraid of the debts you’ll have after. One of the problems most students have during the summer isn’t if we have the time or not to go seek an adventure. It’s about facing the fact that there are no more allowances to fund whatever we wanted to buy or wherever we wanted to go. That is why me and two of the closest best friends I have, challenged ourselves to travel with only Php 150.00 each. 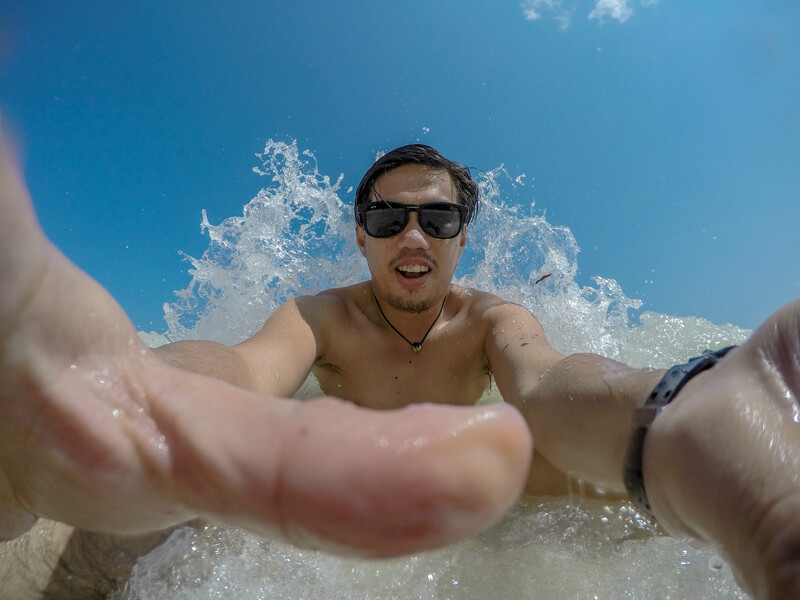 Letting the waves crash behind my back. I am privileged enough to have been raised in the beautiful island of Bohol, filled with endless possibilities to do for days. Being home for a couple of weeks led me to discover things that are not yet discovered by most travelers going to the island. 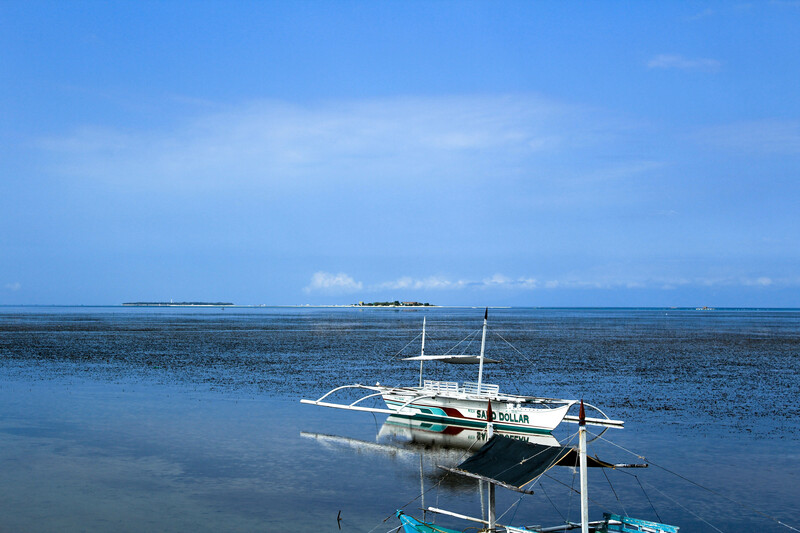 View of the Isola de Francesco from mainland Panglao. With only Php 150.00 to spare, we’ve somehow traveled through jeepney , tricycle, pump boat, and a van. We also went to another island, eaten our lunch and lastly, had a dip in the beach. All with the amount we had on our pockets. Here are the places we’ve been for the day. Tip most part of Isola de Francesco’s sand bar. Isola de Francesco is a privately owned island formerly known as the Virgin island. 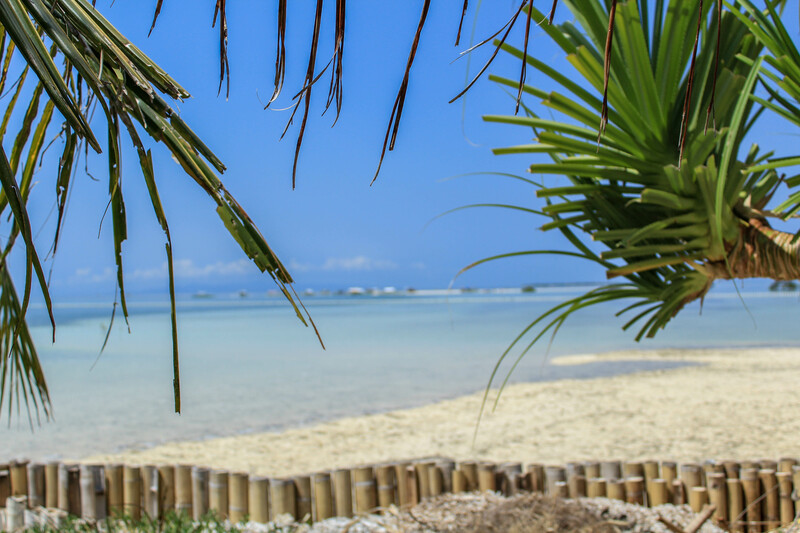 It is just ten to twenty minutes away from Panglao. 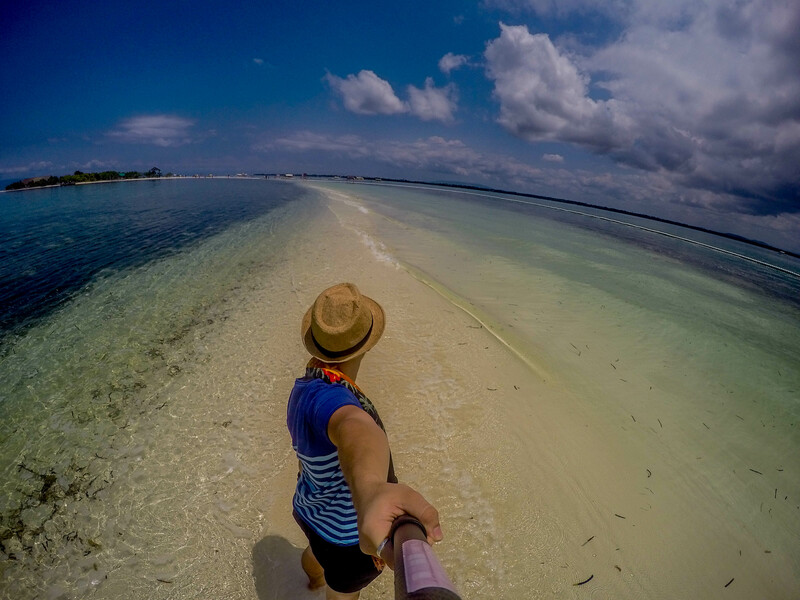 To get to the island from Tagbilaran city, you first have to take a ride to Panglao island. If you don’t have a private vehicle to take you straight to Panglao, there are jeepneys and buses in Tagbilaran that will take you there. Usually jeepneys and buses bound for Panglao parks at a free lot in front of the Bohol Museum. 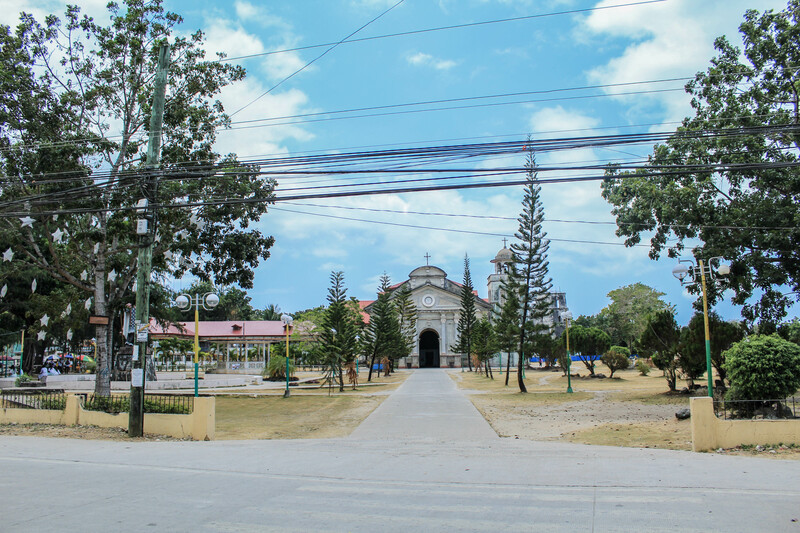 Just ask the drivers, who are waiting, on which jeepneys or buses that passes the St. Augustine church (Panglao’s Parish church). Dropping point of the shuttle service. The wharf that will take you to Isola de Francesco is just a walking distance from the Parish church. If you are facing the church, the wharf is on the right side just beside a public school. You have to call or send a message in advance to the boat men that takes people in and out of the island. Walking to almost the tip part of Isola de Francesco’s sand bar. 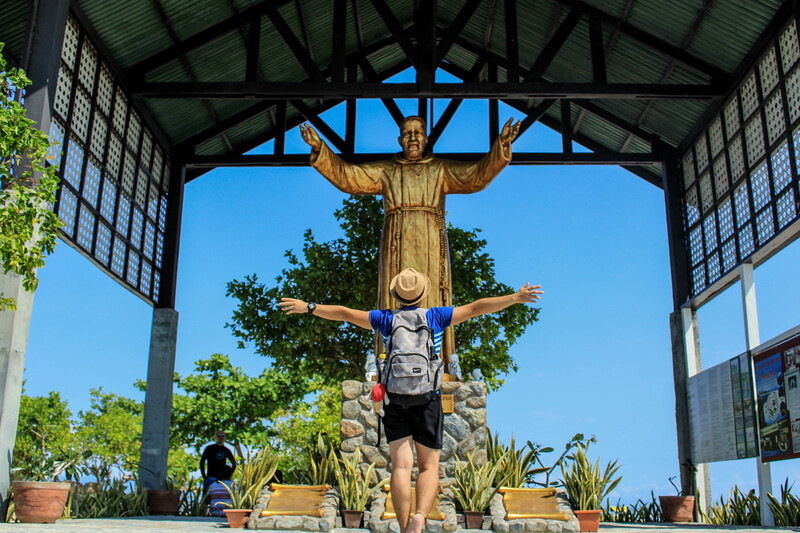 The best thing on the island is that it is a sanctuary of peace and tranquility since the island is dedicated to Padre Pio of Pietrelcina, a saint made famous by his stigmata on both of his hands. 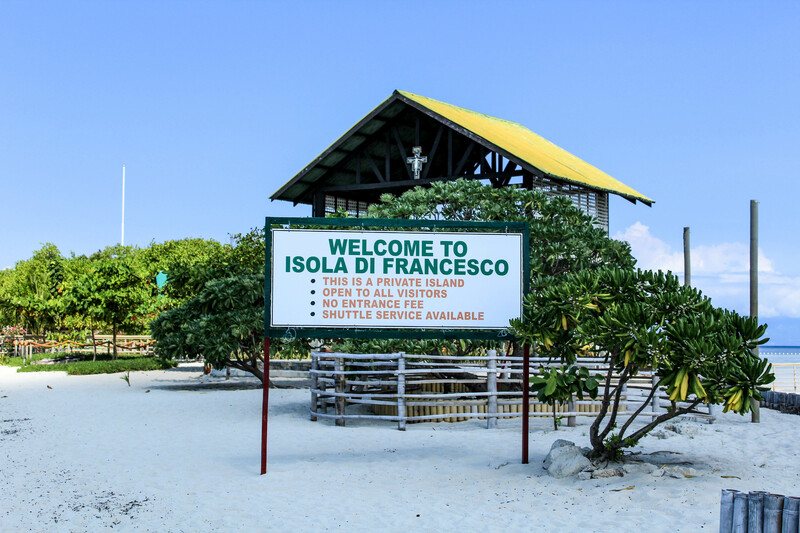 The island was named after Padre Pio’s real name, Francesco. Everyone is welcome on the island. 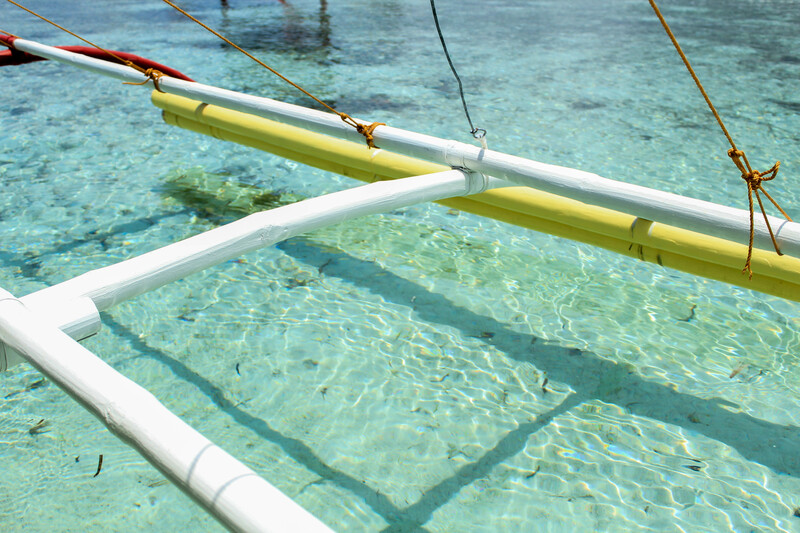 There are no entrance fee and boat shuttles will take you in and out of the island for free. There are also food and drinks on the island that are free for the taking. All they ask from you are your heartily given donations. 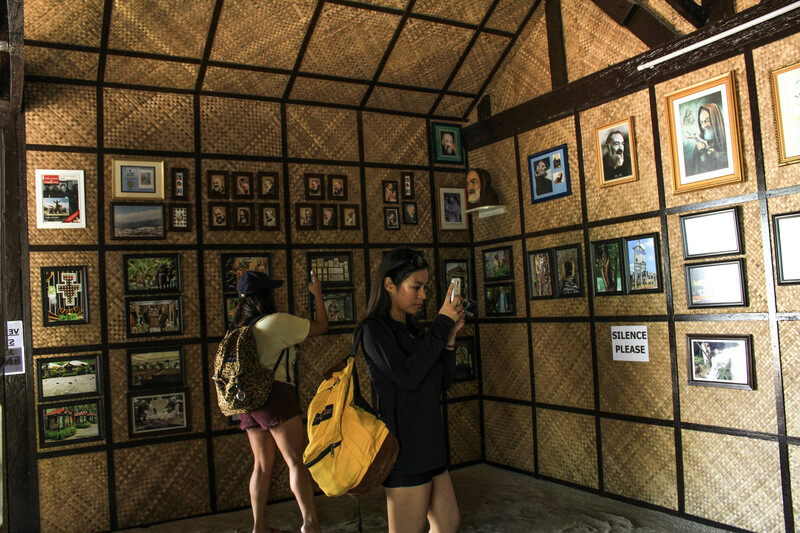 The island also has a little museum that centers around Padre Pio’s history and background. Little museum dedicated to Padre Pio. The chapel is still under construction. 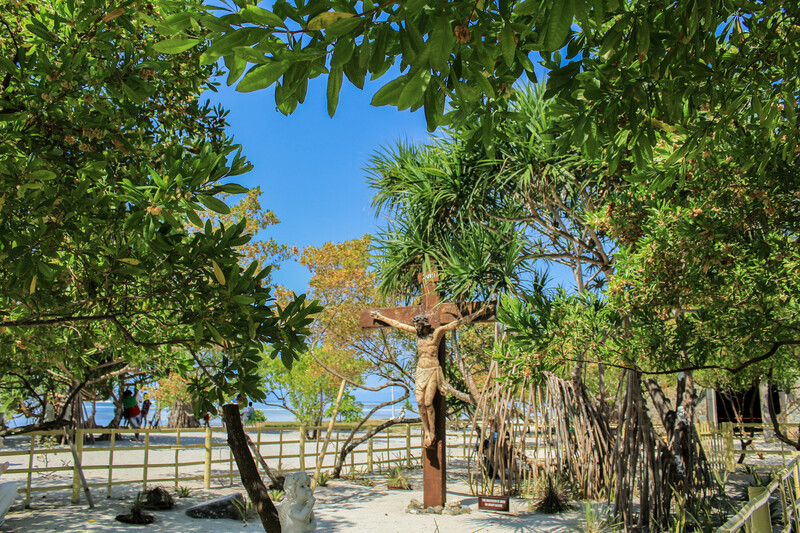 There is also an area where statutes relating to the life of Jesus Christ are placed in different areas. At the end part of the island is a small chapel which is still under construction. Not a dull moment with these two. The thing that I love about the island is the fine sand the island offers. The island has two bars in each ends and almost forming a letter “U”. 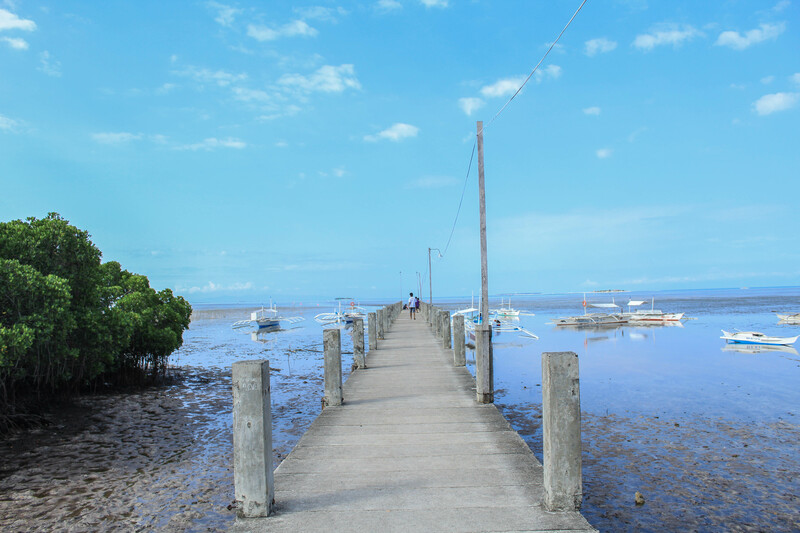 Around noon time, we decided to go back to mainland Panglao to have our lunch. See how clear the sea is. Note: You can stay for as long as you like during the day but would have to inform the boat man on what time you think you want to get off the island. You have to call or send a message to the boat man first before going to the island to inform them on what time they should expect you to come during the day. 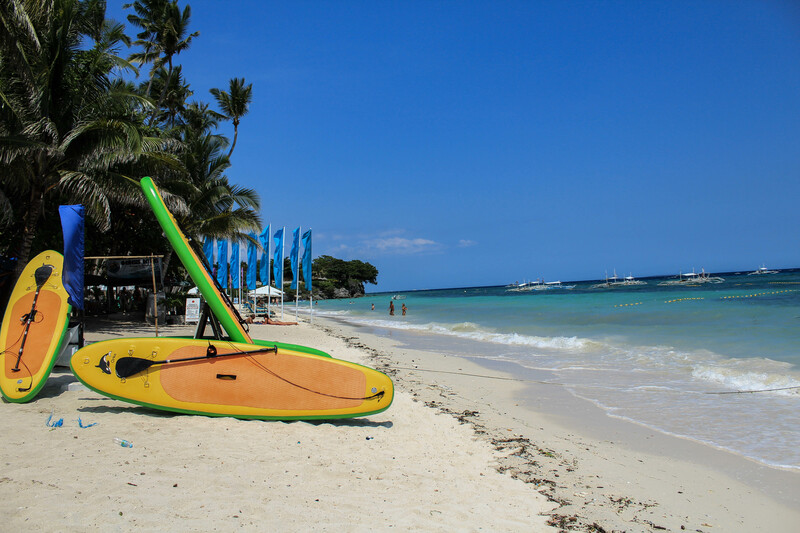 Alona Beach’s fine sand on a hot summer day. 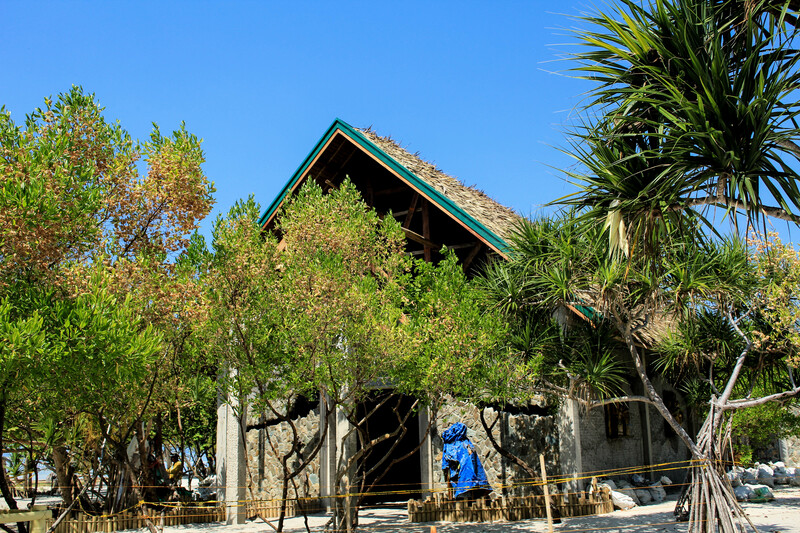 Alona beach has consistently been surrounded by a lot of tourist all year round. As a result, commercial areas flourished in the freewheeling milieu that the beach offers. 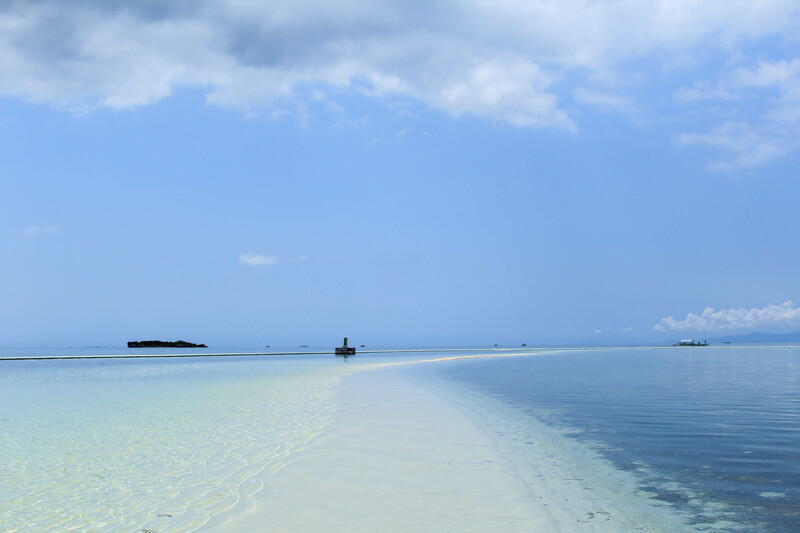 The white sands of the beach attracts most tourist. Other travelers are interested on the diving spots near the beach. 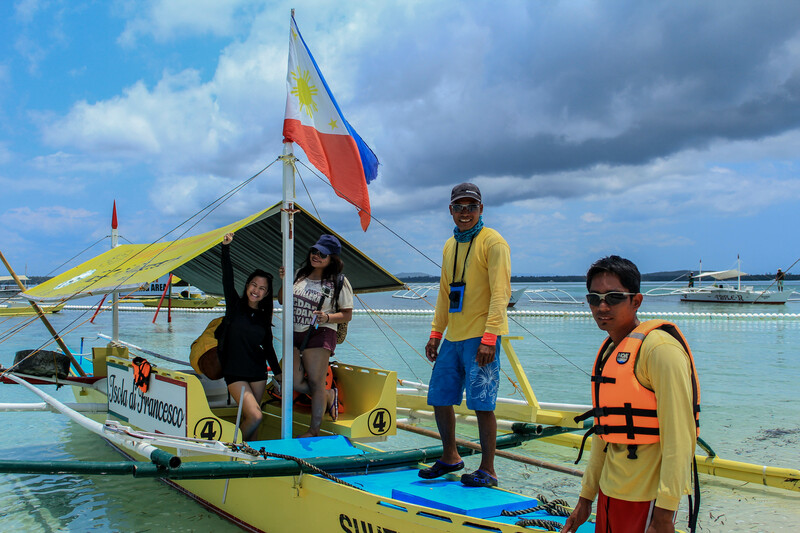 Alona is also known as the starting point to most pump boats that takes tourists to nearby islands such as Balicasag Island. I think they haven’t decided on what pose to do here. There are jeepneys coming from Tagbilaran City that passes by Alona beach, the same area where we took a ride straight to Panglao. 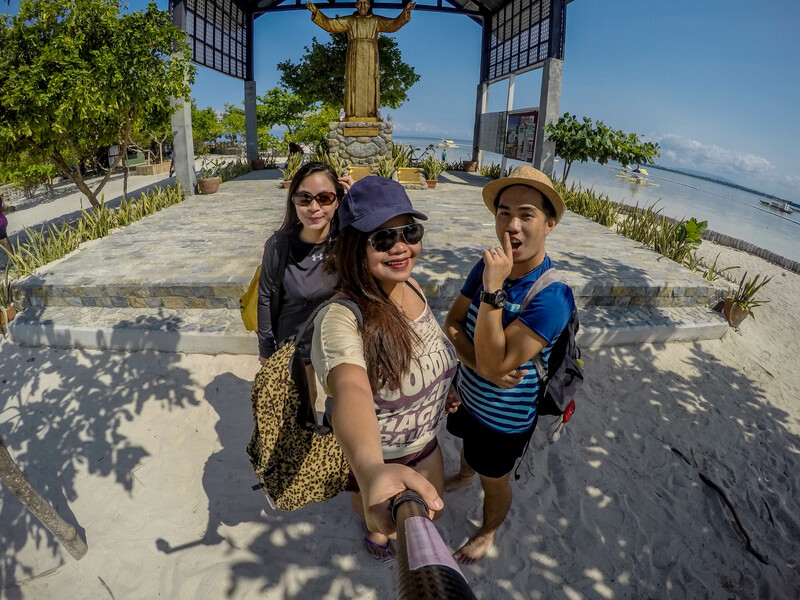 We were however already in Panglao proper and there were no direct jeepney routes from Panglao proper to Alona beach. 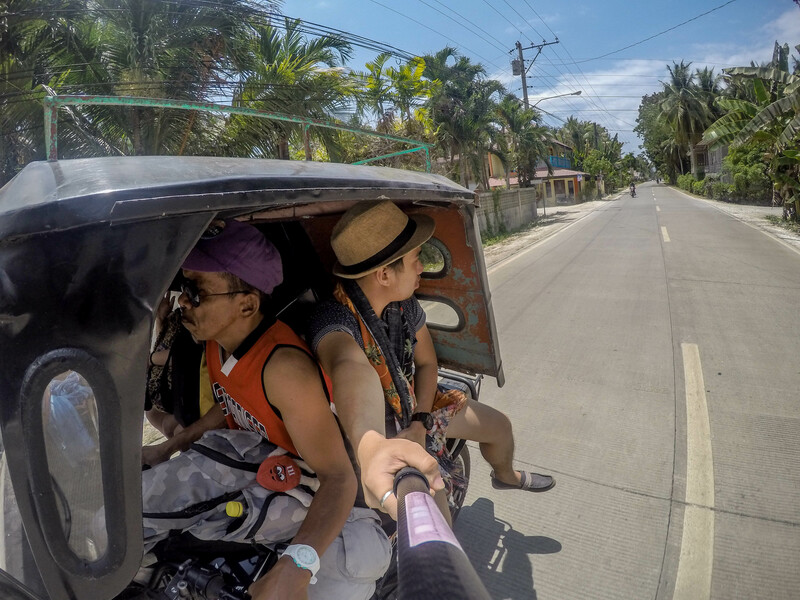 The best way to travel from where we were at was by taking a tricycle ride to Alona beach. After taking our lunch at a small eatery nearby, we hailed a tricycle to take us to Alona beach. Tricycle ride from Panglao proper to Alona beach. The beach doesn’t have any entrance fee. The area is lined with a lot of establishments that offers different things like food, drinks and entertainment. There are also coffee shops and dive shops along the beach. We found a small area that is shaded by a coconut tree where we could drop our things. Island hopping is a usual hive activity most tourist do during the day. We have been offered by some boat men a deal to experience island hopping for a lesser price. They accept joiners for the trip and is good if your group is small enough for the capacity of the boat and is thrifty in renting the whole boat for the day. They charge Php 300.00 each for the ride. That is lesser compared to renting an entire boat worth at least Php 2000.00 if there only a few of you in a group. Note: There are lesser, almost next to none, jeepneys or buses going back to the city at night. The best way to ensure a ride home is to take a jeepney or bus before the sun sets. 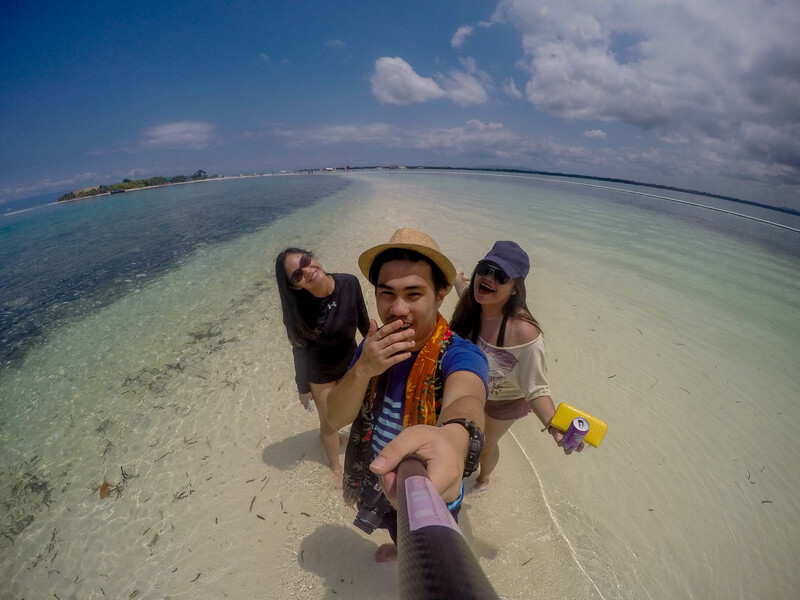 We have somehow enjoyed Panglao for the day with only a few bills to spare. This idea is just so perfect!! Now that’s what a thrift trip is!